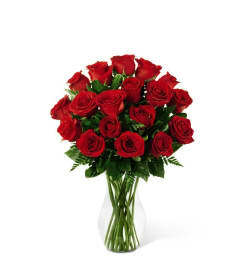 The FTD® Perfect Sun™ Bouquet is an exquisite display of dawning beauty. 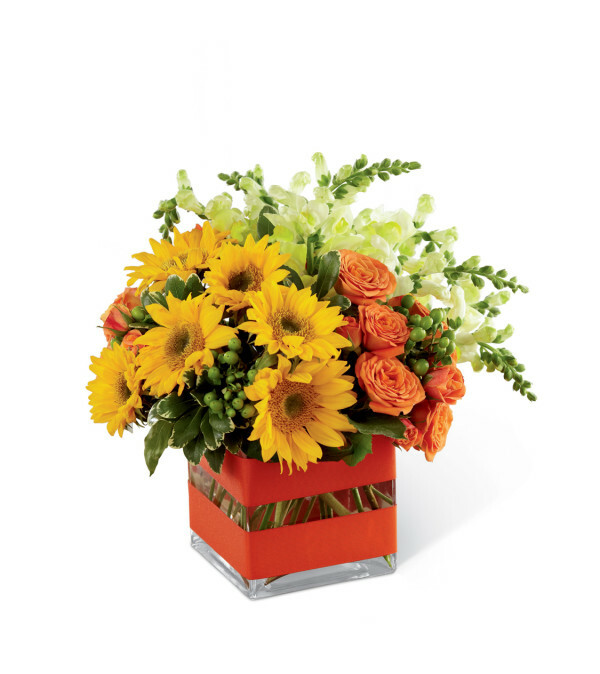 Bright and lovely mini sunflowers take center stage in this arrangement set against orange spray roses, yellow snapdragon stems, green hypericum berries and lush greens. 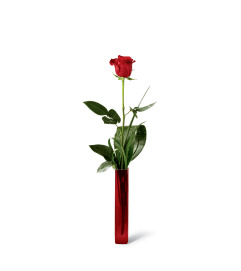 Gorgeously situated in a clear glass cubed vase housing orange foam and accented with an orange woven edge grosgrain ribbon, this bouquet will be a warm wish of happiness for your special recipient.